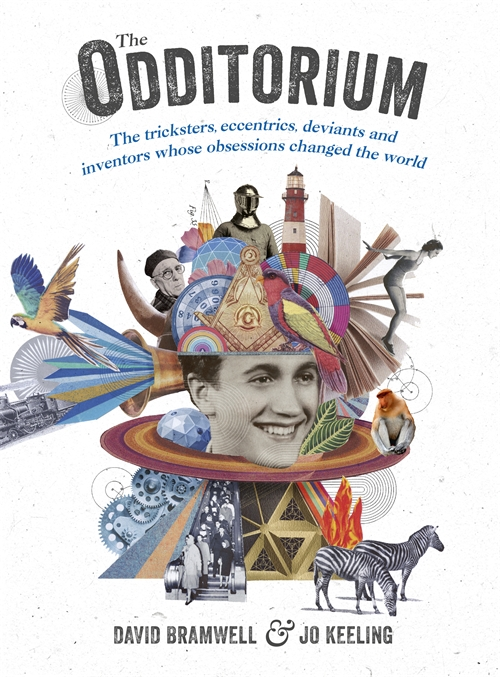 This beautifully-designed book, brought to you by the team behind the award-winning Ernest Journal, is a celebration of eccentricity, invention and obsession and is a must for curious and adventurous souls. Learn about Reginald Bray (1879–1939), a Victorian accountant who sent over 30,000 singular objects through the mail, including himself; Cyril Hoskin (1910–1981), a Cornish plumber who reinvented himself as a Tibetan lama and went on to sell over a million books; and Elaine Morgan (1920–2013), a journalist who battled a tirade of prejudice to pursue an aquatic-based theory of human evolution, which is today being championed by David Attenborough. Elsewhere, we uncover the lesser-known obsessions of such historical giants as Sir Isaac Newton (1642–1726), whose beloved alchemy led to a lifetime’s search for the philosopher’s stone and elixir of life; and philosopher René Descartes (1596–1650), whose obsession with cross-eyed ladies led him to seek a ‘cure’ through the first recorded case of CBT.